Here's a look at what to expect from today's event, from our very own live-blogger extraordinaire, @kelly_heather. 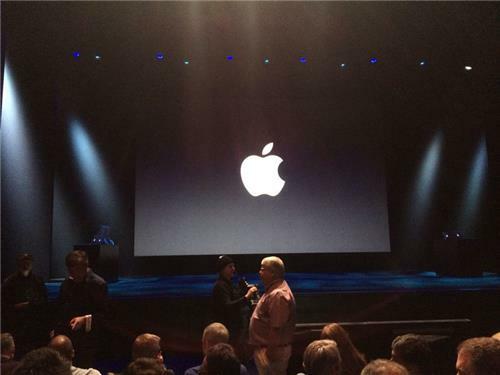 Ten minutes to go and we are seated inside the Yerba Buena center. Cook says early two-thirds of iOS devices are already running iOS 7. The App Store has over a million apps, and there have been 60 billion app downloads. Apple developers have earned $13 billion through Apple app sales. 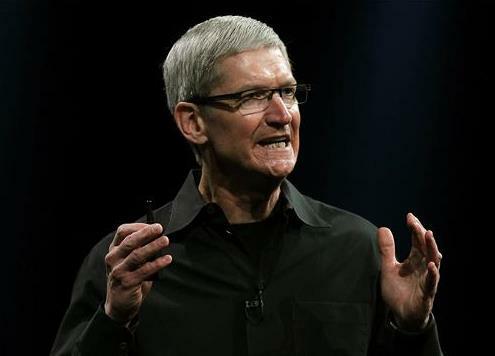 Cook gets a dig in at competitors: "They chased after netbooks. Now they're trying to make PCs into tablets and tablets into PCs." Cook is turning it over to Craig Federighi, Apple's senior VP of software engineering. He's talking about the new version of the Mac operating system, OS X Mavericks. The new iLife for Mac has been redesigned. iMovie for the Mac and IOS are getting updates, including a control for movie speed. They're demoing Garage Band's new drum feature, called Drummer. "One of the hundreds of new features available in the new iLife." - Cue. The new iLife is free with the purchase of a new Mac or iOS device. Update is available starting today. iWork, which includes Pages and Keynote, is also getting an update for the Mac and iOS. Nothing says riveting like a live demo of Pages. 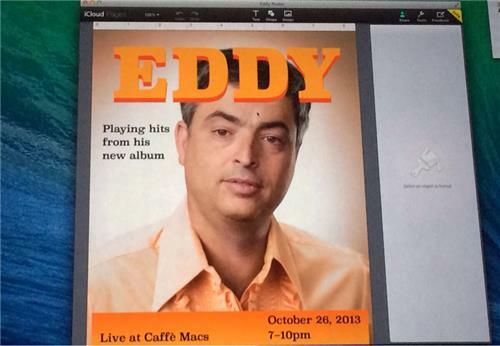 Let's make a fake, tacky musical flier for Eddie Cue. It appears Cue has a history of sassy shirt choices. Yes, the Apple keynote just referred to Batman movies as The Black Knight Movies. Apple is adding collaboration support for iWork apps in iCloud, so you can make a document on a Mac or iPad and edit it online with other people, even if they're on a PC. The apps are available for free starting today. Cook is back on stage: "These are really incredibly rich apps and we've only scratched the surface of what you can do with them." Finally! Time for iPad announcements. This could only be more exciting if we didn't know most of what they were about to say. 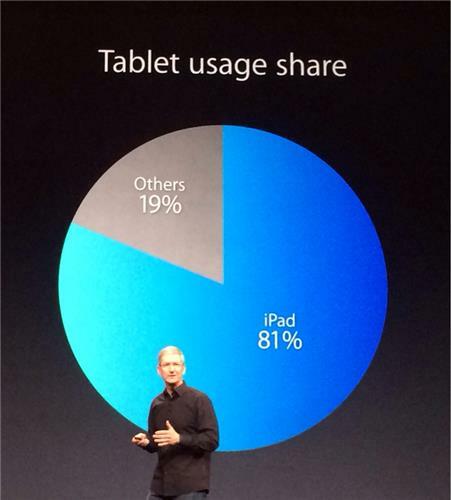 The iPad has gone on to be one of the most successful products in Apple history. They have sold 170 million iPads. "Now everybody seems to be making a tablet. Even some of the doubters are now making them," says Cook. I want a bulletproof iPad, so President Obama has a reason to line his car with iPads. There are 475,00o iPad apps. A large, quality app selection is one of the iPad's biggest advantages over competing tablets.